It has been nearly two weeks since Dr. Nicholas Reeves made an announcement regarding King Tut Ankh Amon's tomb. Today, the Minister of Antiquities has finally spoken on the matter. 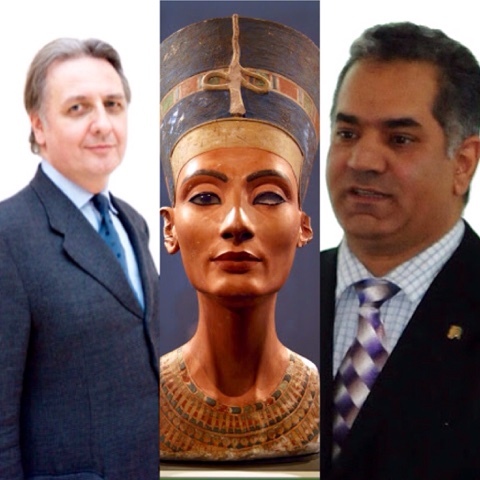 Dr. Reeves believes the tomb has hidden rooms that may contain the burial of Queen Nefertiti, something many media outlets are already dubbing a discovery. Upon returning from a trip to Japan, Dr. Mamdouh El Damaty, Minister of Antiquities,said he plans to approach Dr. Reeves to find out what scientific clues Reeves based his announcement on. The Minister went on to say that the Egyptian government plans to conduct several studies to determine if Dr. Reeves' hypothesis is correct.